As a non-profit organization, we are always looking for new or gently used golf equipment to donate to our youth. If you have the following items in your garage or have access to such items, please consider donating them. Summit Golf Foundation is a 501 (c)(3) non-profit organization that relies on the generosity of its donors to give back to the community in an effort to improve the lives of our youth. Financial contributions to Summit can be made using our simple PayPal feature. We also accept cash or checks (please make checks out to Summit Golf Foundation). All donations are greatly appreciated. We're looking for great volunteers to get involved in the lives of our youth. Assist/lead delivery and execution of lesson plans. 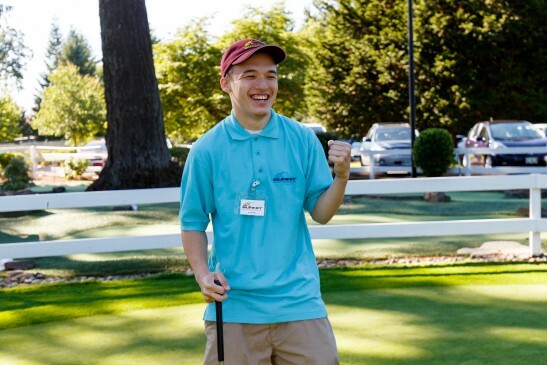 For more information about volunteering with SGF, contact our volunteer coordinator at quincy@summitgolf.org, or call our office at (503)285-1600.